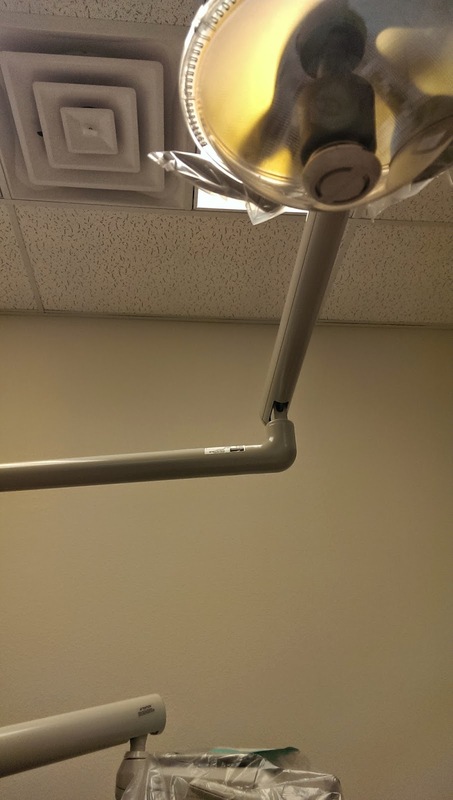 Texas Housewife: Tooth Time Update! Today was the day I've been waiting on for months. 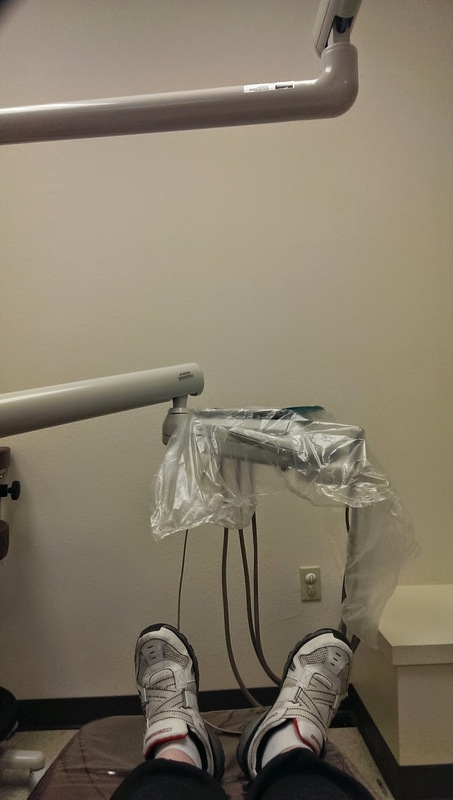 All these awful teeth would go away and give me a chance at functioning like a normal person. That's not exactly how things went down. The best laid plans and all that. Upon arrive at the dental office my blood pressure decided to go nuts and was 170/104 when they checked it. So, they laid me back and told me to relax. I grabbed my cell, sent a few texts requesting prayer, then turned on the Calm Down Spotify playlist, chilled and breathed. It fell to 156/96, a level they found acceptable. I was then told they would only being doing half my mouth today and he let me decide. I went with the left. For all those who wondered, no there wasn't even gas. I stared up at this guy all wide eyed and freaked, tears streaming down my face. Yes, I was numbed but all the tugging, pressure, and noise was stressful. The last upper tooth came out and revealed a sizable hoke to my sinus cavity. That was it for the day. 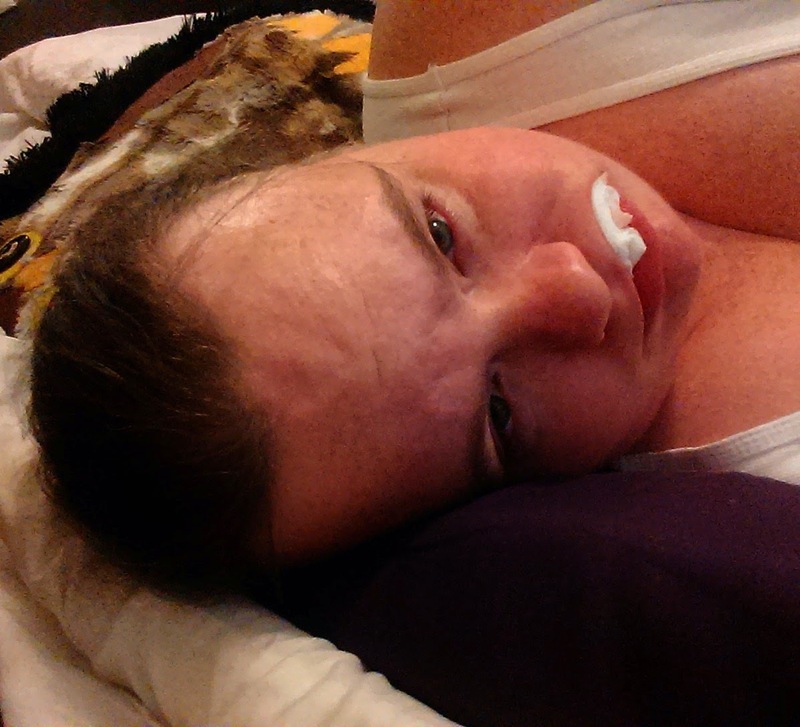 A plug was sewn in, I got antibiotics, pain meds, nasal spray, sinus meds. Add to that a referral to the medical clinic for a blood pressure check, anxiety meds, and a few more tests. The worst part? I can't go back until September. They did take out 6. It took forever for the bleeding to stop. The swelling is driving me batty and the pain is not so great right now. I am trying very hard to stay positive. It may take longer, but we are headed in the right direction. Plus, if my blood pressure is that bad, it is so good to know. Baby steps it is. Regardless, I feel incredibly blessed. To all of you who have prayed, donated, and just been incredible blessings in my life through this somewhat scary journey, I thank you all from the bottom of my heart. I'll continue to keep y'all posted.